1st Place: Christopher's on Whidbey - awesome job Andreas and Team for bringing it home again! 2nd Place: The Cove Cafe - we so appreciate you opening up for this event, Michele! 3rd Place: Captain Whidbey - fantastic job by Chef Eric and the new team at the Captain for saying YES and renting a kitchen to get it done! when we do Musselfest Again! of the World Famous Penn Cove Mussels! Would you like to buy this poster? 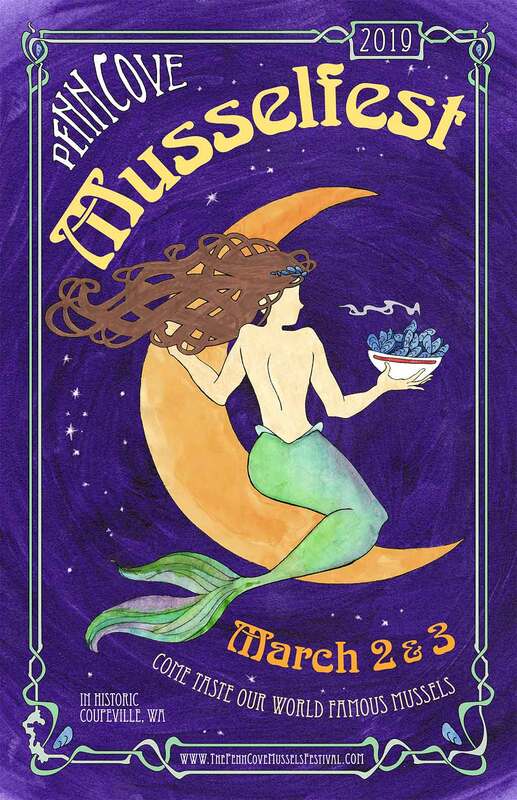 We're busy cooking up Musselfest 2019 with more reasons to come out to Whidbey Island! We'll have guest chefs, great tastings and lots of fun for the food enthusiast! 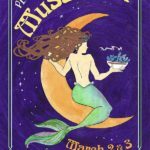 Buy a bowl of steaming hot mussel chowder direct from the Penn Cove Shellfish and listen to great music in the official Penn Cove Shellfish tent! This year, the tent is in a brand new location, at Coveland and Main, just north of Cooks Corner Park. The Waterfront Beer Garden is a great place to hang out in the middle of the festival, listen to live music, and of course eat mussels. The Garden is conveniently located right behind the Coupeville Rec. Hall on Grace Street and Coveland. 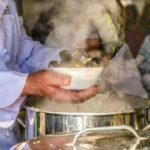 10:00 a.m. – 3:00 p.m. — Cooking Demonstrations – Coupeville Rec. Hall. 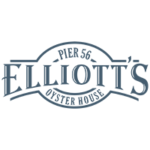 10:00 a.m. – 8:00 p.m. — Penn Cove Shellfish Mussels, Music, Beer and Wine Garden. 10:30 a.m. – 5:00 p.m. — $10 – Boat Tours of the Penn Cove Mussels farm. 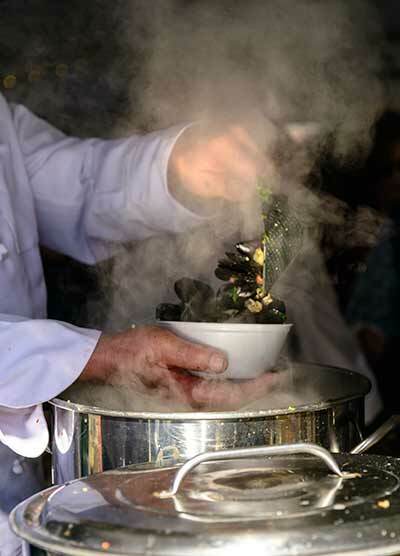 11:00 a.m. – 3:00 p.m. — Chowder Tasting – Come early as the line gets long and Saturday tickets sell out by noon! 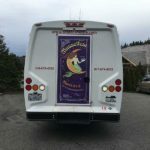 11:00 a.m. – 3:00 p.m. — Free children’s activities at the Whidbey Island Masonic Lodge, 804 N. Main St.
3:00 p.m. – 3:30 p.m. – $5 – Mussel Eating Competition. 10:30 a.m. – 3:00 p.m. — $10 – Boat Tours of the Penn Cove Mussels farm. Both the historic downtown area and our south main shopping district south of SR 20 are filled with places to shop and many merchants have special offers.